This program helps homeowners correct code violations and address long over-due repairs that affect the health or safety of their family. Improvements include basic structural repairs, roof, doors & windows, electrical, plumbing, heating and weatherization. Energy Star materials are required where applicable. Please download and complete the Home Repair Form to proceed. North West Housing Partnership (NWHP) acquires homes in Bellwood, Berwyn, Forest Park, Maywood and Oak Park to rehab and affordably sell to qualified home buyers. Each potential buyer will work with the West Cook Housing Collaborative to be pre-qualified and to also receive $10,000 in down payment assistance. In addition, a buyer will need to attend housing counseling and receive a certificate. This can be done through NWHP or the West Cook Housing Collaborative. This program is provided in partnership with the IFF. For further information please contact Paula Bush via email or call (847) 969-0561. In addition to this program, NWHP buys foreclosed homes in various northwest suburban communities. They are then rehabbed and sold at affordable prices. For more information, call the office at 847-969-0561. Learn how to receive and qualify for down payment assistance programs. Several are available. A wealth of information for home buyers is provided at this workshop. For more information go to the WORKSHOPS page. 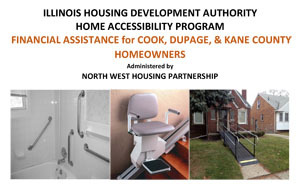 The Home Accessibility Program (HAP) is now available in Cook, Kane and DuPage Counties and is being administered by NWHP. This program is funded by the Illinois Housing Development Authority to help homeowners address long over-due home accessibility issues that affect the health or safety of their families. 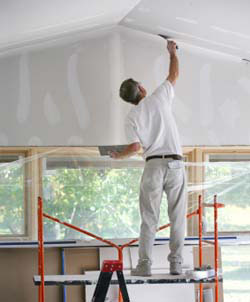 Low-Income Homeowners may qualify for a grant up to $25,000 in home modification, performed by professional contractors. Grant is forgivable after 5 years. Download and print the flyer for additional information. 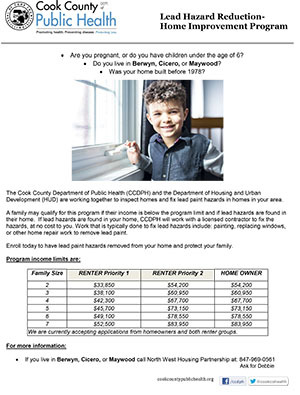 The Cook County Department of Public Health (CCDPH) and the Department of Housing and Urban Development (HUD) are working together to inspect homes and fix lead paint hazards in homes in your area. North West Housing Partnership is the local nonprofit for the northwest suburbs. A family may qualify for this program if their income is below the program limit and if lead hazards are found in their home. If lead hazards are found in your home, CCDPH will work with a licensed contractor to fix the hazards, at no cost to you. Work that is typically done to fix lead hazards includes painting, replacing windows, or other home repair work to remove lead paint. See links below for further information. 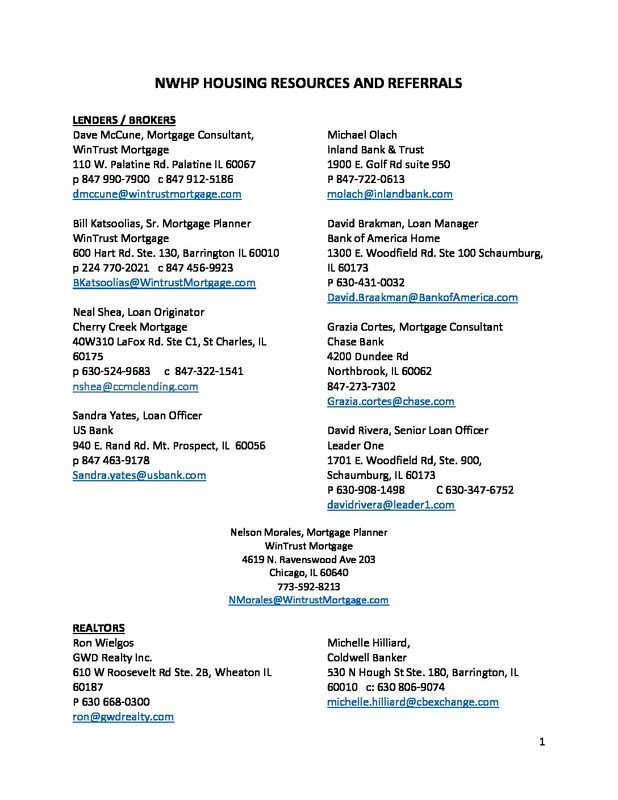 Call or email Debbie at 847-969-0561 or dkiszkowski@nwhp.net. The North West Housing Partnership operates a “Handyman Program” for those who are 60+ in need of minor repairs to their home. This program was initiated by the Northwest Suburban Housing Collaborative in 2014 and is made up of the communities listed below. Starting in late 2017, the program added all towns in Palatine and Wheeling Townships. Additional grants are being provided by Age Options and the city of Des Plaines with support from Associated Bank. For additional information about the Senior Handyman Program call (847) 969 0561. NWHP in partnership with Attuned Care and Metropolitan Mayors Caucus has a new project called CAPABLE (Community Aging in Place, Advancing Better Living for Elders). The CAPABLE Program was developed by John Hopkins University. This program is for seniors 65 and older and is available in all of the communities listed above. We just added Des Plaines and all of Wheeling and Palatine townships in March of 2019. For more info call 847-969-0561 or see the flyer below. Click here to read more about the CAPABLE program. 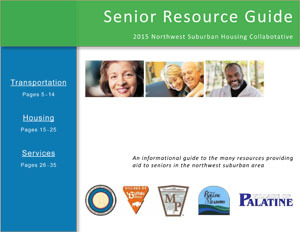 This is a list of affordable housing resources and referral agencies that may be helpful. For further information on any of the programs listed, please call NWHP at 847-969-0561. A HUD-approved Housing Counseling agency.